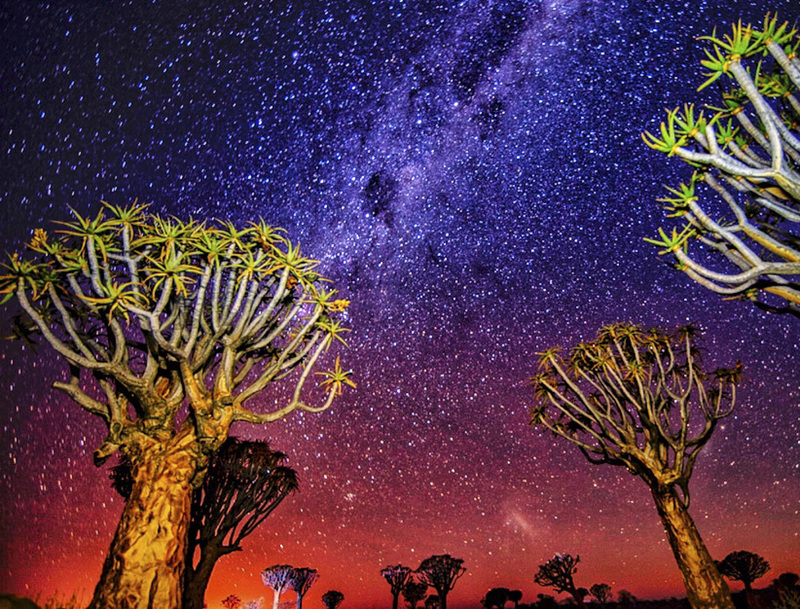 A few days ago I spent the night in the Quiver tree forest in Namibia which is utter heaven for photographers. If you love stars and photography then this area is fantastic as you’ll have very little light pollution. Below are a few pictures from the shoot including information on how and where these photos were taken. Quiver trees (Aloe dichotoma) aren’t actually trees at all and belong to a group of Aloe succulent plants. 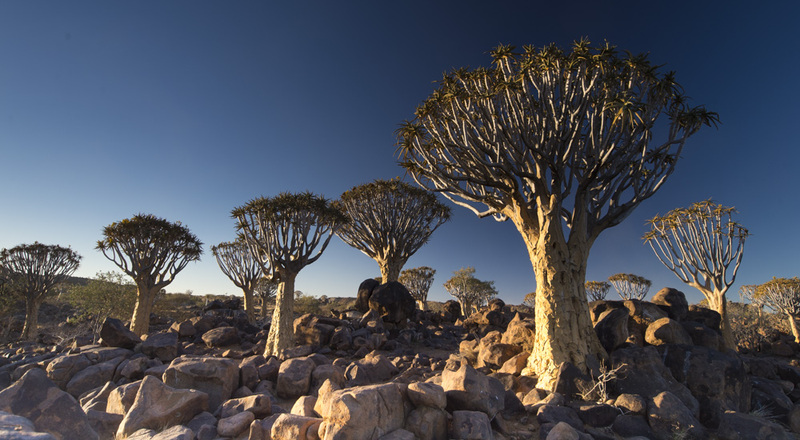 Near to the small town of Keetmanshoop in southern Namibia there is a Quiver tree forest with over 250 of these incredible plants condensed into quite a small area. The nearest place to stay is the Quiver tree forest rest camp which is a short walk from this area. The above photo was taken using a Nikon D4 with an 18-35mm lens @18mm; 83 second shutter speed; F4; ISO 800. The orange glow is the light from Keetmanshoop in the distance. 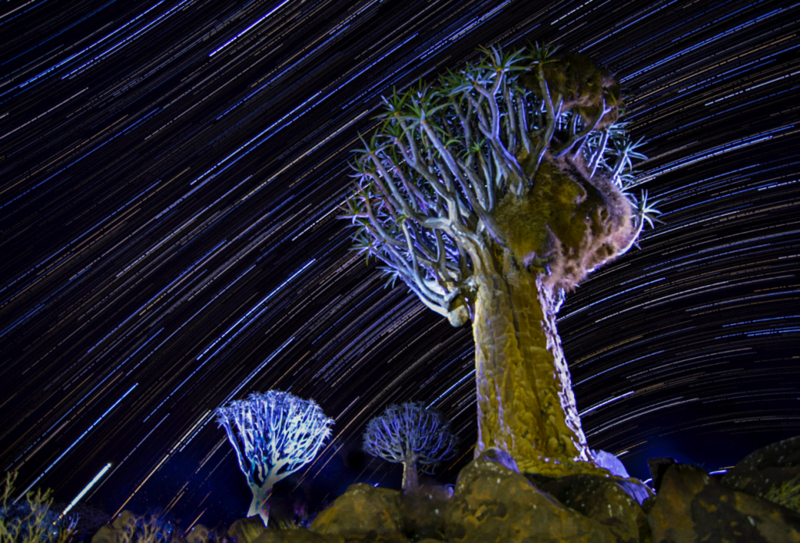 The quiver tree forest is a great place for star trail photography. My shot above is a series of 200 photos with each shot at a 30 second exposure, ISO 1000, F4 on a Nikon D4. 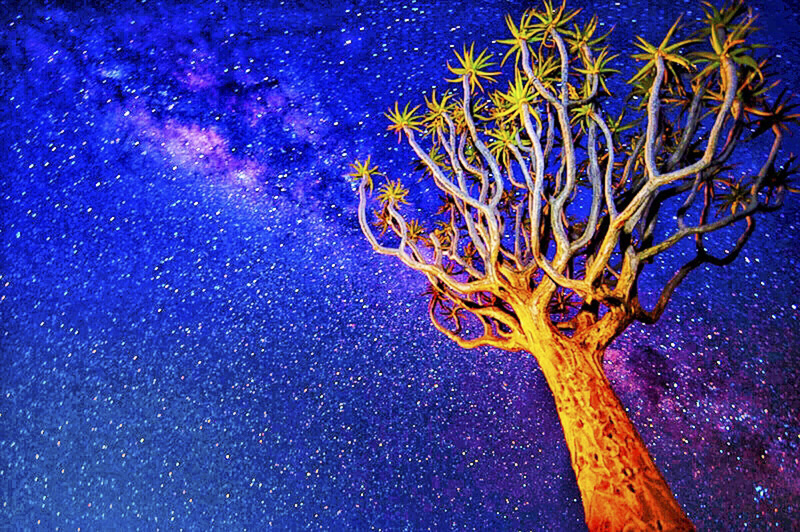 I illuminated the Quiver trees with a short brush of light just using the torch on my Iphone for a couple of seconds. The sequence of photos is then layered in the brilliant software StarStax which is available here. Long exposure taken using a Nikon D4 with an 18-35mm lens @18mm; 110 second shutter speed; F4; ISO 800. Quiver tree lit just by torch from my Iphone. 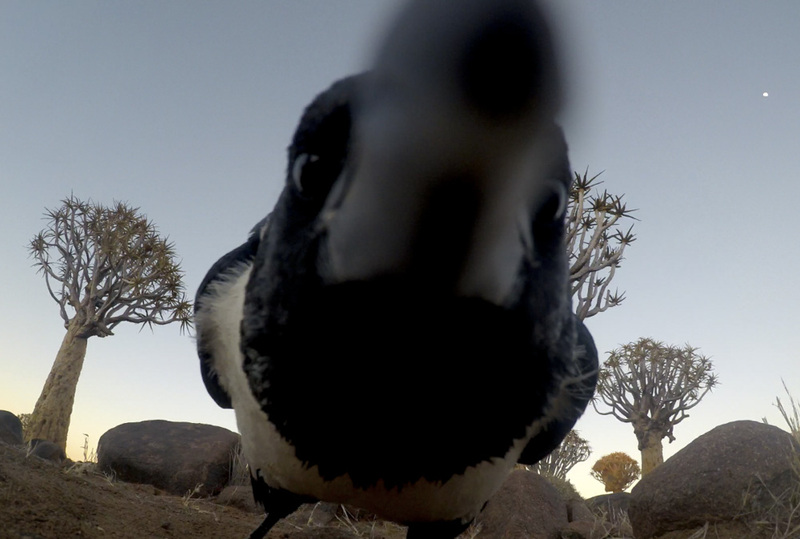 Early morning I was using my GoPro to film some timelaspe of the light changing on the Quiver Trees when a Pied Crow came right up and stared in the lens which produced this unusual image. 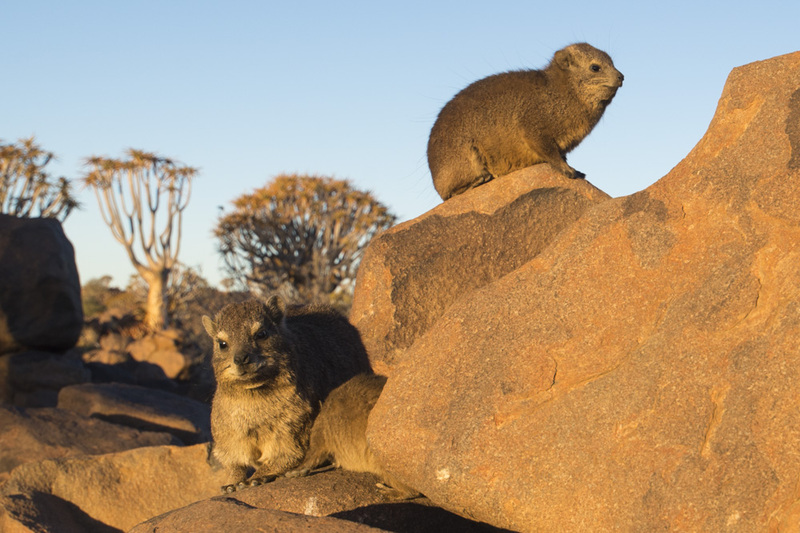 Rock Hyrax catching some of the last rays of sun. 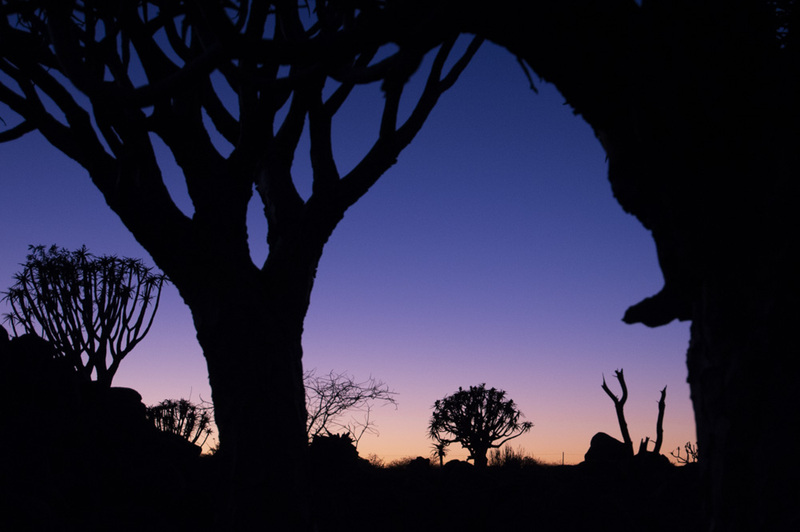 An early morning silhouette of the Quiver trees just before the sun was above the horizon. 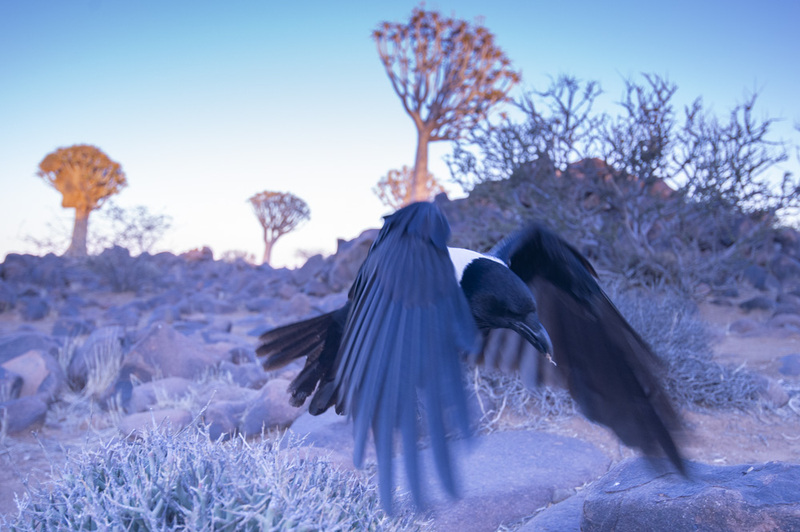 There’s more information here on my future Namibia photography holidays where we’ll spend more time taking Quiver tree forest Namibia pictures.